79Ci 100% Jam Proof Cross-Cut Shredder is rated 4.9 out of 5 by 29. Rated 5 out of 5 by Loney from Best Shredder ever Very pleased how smooth and how much power this shredder has. Couldn't believe how Quiet it is. I would recomend this Fellowes shredder to family and friends. Rated 5 out of 5 by GoforGirl from Great Shredder This is a replacement shredder and it seems to work great. It is very quiet and I like the safety features. It is cross-cut and perfect for destruction of confidential papers. It seems to be well made and heavy duty. The gauge that shows if you are shredding too many or not enough papers is handy. Rated 5 out of 5 by PatKenora from Best Shredder! I love this shredder! At the last 3 places of employment I have purchased a Fellowes Shredder, this one the last 2 times, and have been very happy. They are quiet, quick and a work horse. I have never been disappointed with the Fellowes products.Keep up the good work and thanks for making a reliable product. Rated 5 out of 5 by SoFarWeLikeIt from Brand New! 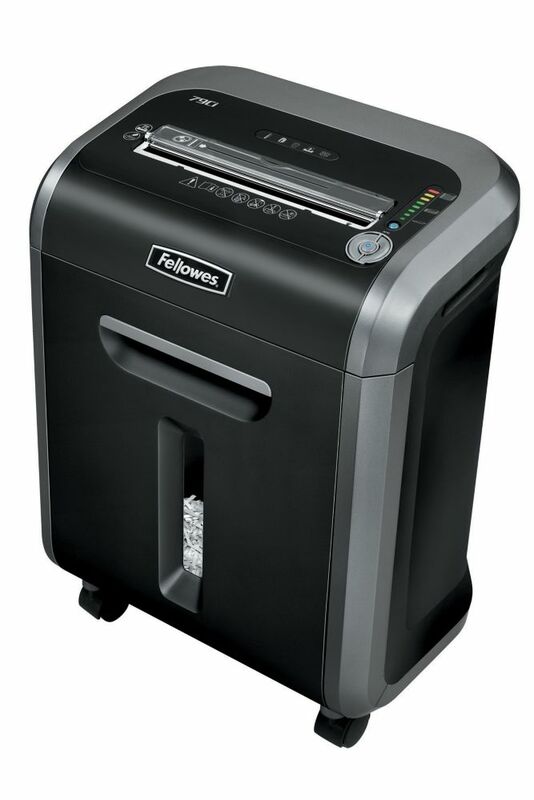 I just purchased my new Fellowes shredder and I couldn't be happier. It is everything I was hoping it would be. I haven't had it long enough to rate it's jam resistance so placed it at Average but so far I would consider it Excellent in every other category! Rated 5 out of 5 by Admin2018 from Powerful Shredder for it's compact size! This little shredder is powerful for it's compact size! Works great and is very dependable. Would recommend.